WOTSD is both a liquid and linear roleplaying site! The story is set in the middle-eastern region of Earth. We've created a simple set of guidelines to help you get started with us. Read the rules. Much of the rules pages are really just guidelines to help you play along, rather than hard set in stone rules. The majority of rules we have are bendable if it allows players to have more fun. Look through the information board. The pages found within give an overall description of the roleplay and will help you get an idea of where it takes place. This includes the pack ranks, relationships between characters, and information about the land. Register an account on the forums. Remember that your username should be the name of your character. Once you've registered, create a biography in the memoir page. It really doesn't matter how it looks. If it's plain or decorated in HTML, we don't really mind. In all honestly, we would simply appreciate a quick run down of your character. All characters will start out as a loner, and what they do from there is up to you. You can have them try to group others together to form a pack, or you can have them try to scrape by independently. It's all up to you! 08∙02∙16 — Xander is a Guardian. 07∙28∙16 — Inanna and Melanie are now Intinerants, Angel is a Pursuant, Aaron and Kaiba are Guardians. 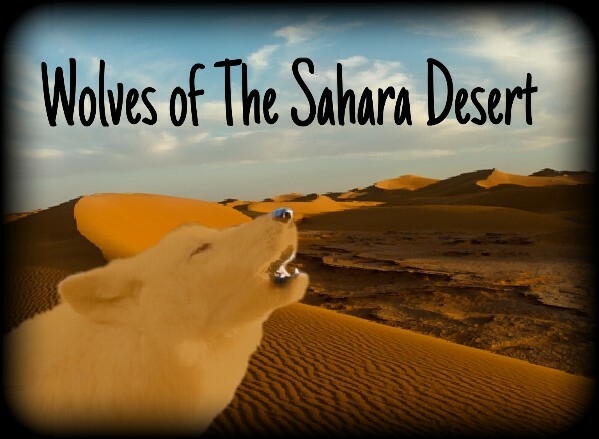 07∙21∙16 —Wolves of the Sahara Desert is back!